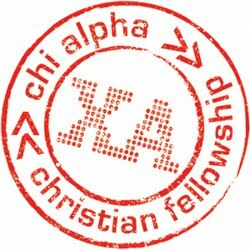 One of the great privileges we have had during this past year is to be ambassadors for Chi Alpha to churches and individuals around Southern California. There are some harrowing statistics concerning youth who grow up in the church. Many statistics say that some 80% of these youth will leave the church during their college years. Like all statistics, it should be taken with a grain of salt. We all know that just because you go to church, it does not make you a Christian. But on a weekly basis I see and hear the stories of young people who are in college, gone through college, or the stories of their parents, and how difficult college was on their faith. It is certainly not the only factor, but it is a major one. One idea I often challenge churches with is that involvement in campus ministry is a great first touch to help Christian students get involved in a spiritual community, stay strong in their faith, and that it often serves as a stepping stone toward church involvement. Among the different churches we have been in each week sharing what God is doing through Chi Alpha both at San Diego State and around So Cal, two recent churches I spoke at during the same week stick out in particular. The first was on a Thursday night when I spoke at a men’s rehab camp. I felt led of God to speak about perseverance. It was continually impressed upon me during my preparation that these men often made the choice at a very similar age to walk away from God as the college students that I work. 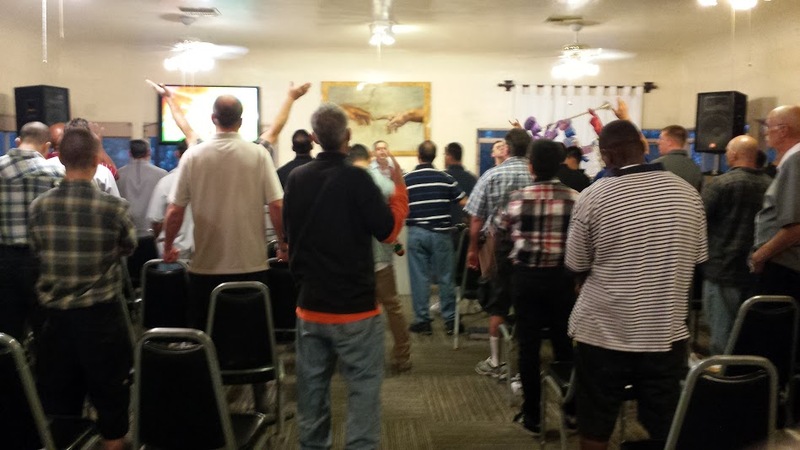 Both groups have difficulty persevering in their walk with God because of different pressures and addictions and now these men were beginning the long path of getting their life back on track and would have many obstacles in doing so. The same is true of college students who put their faith on hold for various reasons and then try to jump back into the race at a later time. It is not easy. When we have not been in strict training as Paul says in 1 Corinthians 9, we get out of shape and our hearts become weak. We can no longer run the race with endurance but must retrain our hearts to focus on Jesus the author and finisher of our faith. Those of us jumping back in will be more easily drawn to those things we have given our hearts to in the past. This is why I often plea with college students to not stop running during college even though God’s grace is always open for them to return to the race. It’s not always so easy to jump back in and relapse is common (I think of Matthew 12:38-45 here). 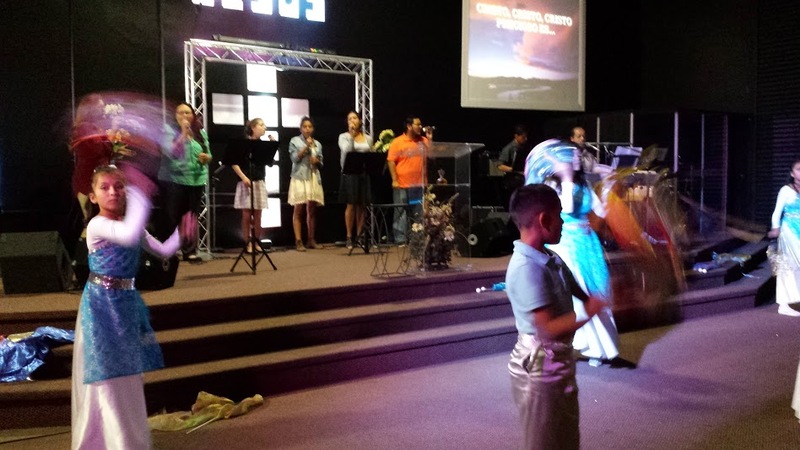 The next night, on Friday, I spoke at a bilingual church that had amazing pastors, vibrant worship and a warm welcoming community. Before the service I met a young man, “Alberto”, who is 21 years old. He was excited that I was from San Diego State and before the service told me he had gone to San Diego State but was taking a break and hoped to return soon. After I preached and was at the back door greeting people Alberto came up to me and told me that he was not just on a break but had in fact been put on suspension. He did not say why, but I imagine it was probably a mix of behavioral issues that also had direct implications on a lack of academic success. He also hinted out that it definitely involved fraternities and parties. He told me that he was one of those students I was talking about and that he wanted me to pray for him that he would be able to return to SDSU and be used by God to touch other students who were struggling to fix their eyes on Jesus. He is experiencing first hand that it is hard to jump back into the race. I of course prayed that God would restore him and use him in just that way. Then, in a touching moment, he asked me to keep a printed copy of my message to remind him of what he has to look forward to. This is why we do what we do. To invite people to run the race with us and encourage people like Alberto to not stop running and fixing their eyes on Jesus. Spring Break! The girls are in the middle of a two week Spring break which has given us some much needed family time including a trip to the Zoo with the season passes we got from Papi and Mimi for Christmas and a trip Legoland via free passes from a new friend who works there! Amber made the principle’s list for the second trimester which means she was advanced in every academic and citizenship area for the term. Kendra is teaching a swing class for CYT San Diego. Peyton and Amber are each taking a class of their own at the same time. Amber is in class for young kids called “Our Gang” and Peyton is taking a “Dancing for Auditions” class. Brandon’s car was stolen back on April 23 from out in front of our house. Since it was a junker we did not have comprehensive insurance on it. Pray with us for God’s provision of something that will not put a big dent in our budget but also be reliable for all the traveling Brandon has been doing lately. Just on Saturday, Brandon’s dad, Kevin (Papi), went into the hospital and was diagnosed with a brain tumor. He is schedule for surgery either Tuesday or Wednesday after which they will do a biopsy on the tumor. Pray for his complete healing!